In Load Bearing Masonry Construction is characterized by heavy and thick masonry walls of brick that supports an entire structure. It could be made of stones too. Now be it brick or stone, the main aim is to provide a support for the entire structure, including floor slabs. Floor slabs as we know may be made of reinforced concrete, steel members or wood. 1. 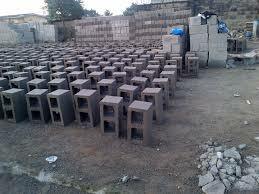 Load Bearing Masonry Construction is material intensive. This simply means a lot of bricks are used in Load Bearing Masonry Construction. such bricks are very heavy. Because of the heavy nature of these materials, the cost of conveying them from one point to the other is often on the high side. 2. Load Bearing Masonry Construction has been observed to always perform poor in the presence of earthquakes. In other words, Load Bearing Masonry Construction has a very low resistance to earthquakes. Do not forget that during earthquakes, heavy buildings are often heavily affected. 3. Load Bearing Masonry Construction is labor intensive. Humans are often used in the construction of masonry walls. For this reason alone, we observe that work process is often slow and delayed.